this photo is far too cute for words. I love a baby in stripes. 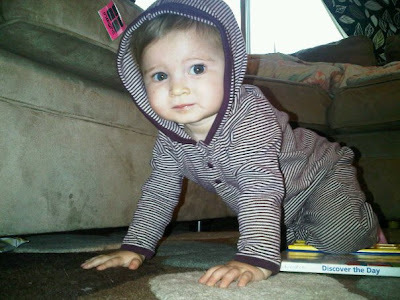 A baby in hooded, one piece stripes is a whole nother level. Love the jumpsuit. She is so adorable. Probably one of my favorite bloggy babies.